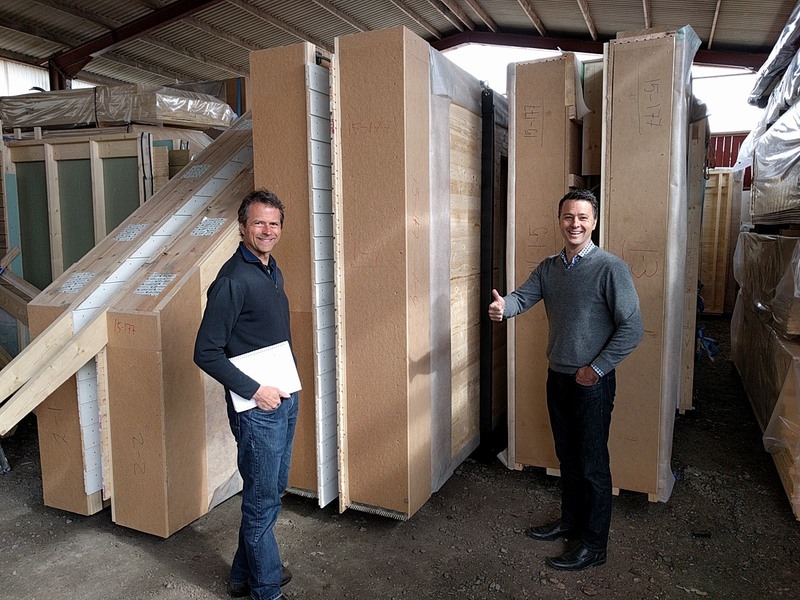 What Is a Gemba Walk & Why do we want you to take one in Sweden? For manufacturers it’s the factory floor and so on. In other words, it is where the real work happens, so you can observe and analyze it, in construction the “gemba” is more complicated – it is both the factory floor and the building site – and the logistics of coordinating the two. Gemba walk is a concept developed by Taiichi Ohno, who is often considered the father of Just-in-time production. Ask why. The main objective of a Gemba walk is to explore the value stream in details and locate its problematic parts through active communication. Respect the people. You are not there to judge and review results. You are there to collaborate with the team and find problems together. The Bygghouse Gemba Walk is a unique way to learn about the Swedish home-building process and it is different from anything being offered by others. We realized the most people who visit European house builders are interested in how machines are used – so they tour a set itinerary to visit see many companies, and usually visit the offices of the machine or software supplier, usually the people leading the tour are hoping you will buy software or machines. People end up seeing a confusing array of stuff, but don’t really understand how the whole process is different from the processes in North America. 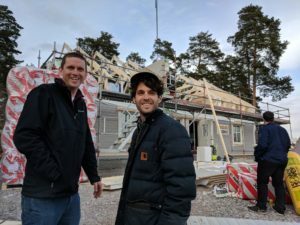 To flip this dynamic, Bygghouse sat down with experts in Sweden to create a small group experience (max 6 people) hosted directly by a Swedish builder (not a consultant) and be with them during a live build – the act of creating value. The intent is to learn and study the entire process of building a house Swedish industry has developed over decades of trial and error. Sweden is rare among the world’s construction industries in its extensive use of advanced component construction and a focus on quality improvement and overall effort optimization. Currently there are no better examples in the world of how this looks in practice. To understand this we believe builders would be best served by spending time directly observing the place value is created: the Gemba … on a Swedish building site and through direct observation of construction and of the overall process, from factory to site. By creating a situation where there is builder to builder exchange, and by offering this on a rolling basis, on your schedule (rather than on a group basis) we hope to increase the number of people who will go and learn, eliminate the baggage caused by traveling in tour groups, and make the price level within the reach of anyone who has the means to travel to Sweden. 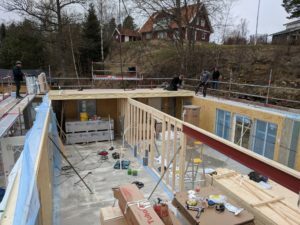 Sweden is safe, modern and friendly – you don’t need to travel in a tour group – but if you want to see a house built, you need to be hosted by a builder and stay by their side as they build. If people also have a good time, and the amount of good will among people from different countries is created … we’ll take that too. It is easy to formulate a problem statement about how the building industry is backward, or innovation resistant, or not keeping up with productivity – even management consultants who’ve never worked on construction site can tell us what the problems are. 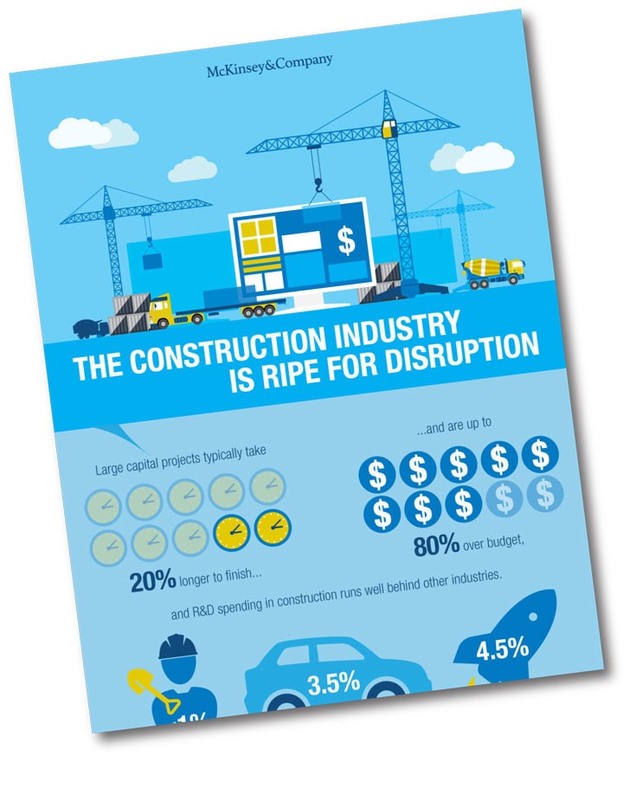 Today it is trending to say that the building industry is “ripe for disruption”. Consultants in the UK are issuing ominous reports asserting that the UK builder must “modernise or die”. There must be a dozen different conferences that you can attend related to “offsite”, “modular”, “modern”, “industrial” or “prefab”, some of these are organized by people who started thinking about this yesterday. None of them allow you to work with someone who actually does the things that are being professed to be needed. Setting aside the absurdity of the idea that we can just skip “improvement” (we can’t) and go right to “disruption” (we won’t) – people have been asking some version of the question “why would you build a house in a field if you wouldn’t build a car in your driveway”. Its been asked since the days of Henry Ford, yet buildings are still built with supposedly inefficient methods. Given the long standing nature of the problem it is extremely valuable to go learn from people who actually have accomplished something around solving the problem. I have a modest proposal: skip the conferences and go spend time with people who actually are quietly doing what others are loudly proclaiming you should do. Said simply: Go to Sweden, spend time learning from a real Swedish builder. There is no substitute for going and seeing first hand how this works: in reality. We’ve been told time and time again by people who don’t suffer fools, that “yes” this is worth doing – more than one builder has said that the things he’s learned have changed his life. The benefits of the exchanges we’ve organized are showing up in many places, for example, the Bensonwood team who designed the 100K sq. ft. facility in Keene, blended ideas gleaned from our tours in Sweden with others while carefully planning their own operations which were inaugurated in April 2018. You contact Bygghouse and sign a liability release and pay a fee to participate in the program. We then work with you to synchronize your travel with the timing of the house build and we pair you with a builder to host you. Houses in Sweden are delivered and set in a single (long) day. You will be welcomed to the jobsite and allowed to observe the carpenters as they build the house. You can ask questions, take photos, but you you will be in an active build so you will need to stay out of the way and be a considerate guest. The following day you will drive to the factory and be given a detailed tour of the production – again, this is a working factory, and you will be asked to follow safety regulations and keep safe distances from the workers – but the idea is you will be allowed to see the production at your pace, with a manufacturing expert: that is the Gemba Walk. To do this cost effectively, we will not be personally guiding the trips, as we done previously, we are partnering with a Swedish builder to facilitate a hosted, self propelled learning, among trusted partners in Sweden. You will be responsible to show up at the required times and places on your own. If you’re qualified to build a house, then you are qualified to navigate yourself to a building site in Sweden. Bygghouse is offering a situation where you learn, and connect with “a real Swedish builder”(tm), and spend time in Sweden not just walking quickly through factories, but working with the people who build and fabricat these houses using advanced production methods. From what we’ve been able to understand from talking to the people who have taken the effort to visit, this is far more education that you can get from going to a conference to talk about how to modernize construction. Don’t take our word for it, go see for yourself! Full liability release, hold harmless and program enrollment of $1,200 (flat fee goes to the builder).